Save time and money with Saf-T-Wrap® Station, the first integrated solution for more efficient food rotation. 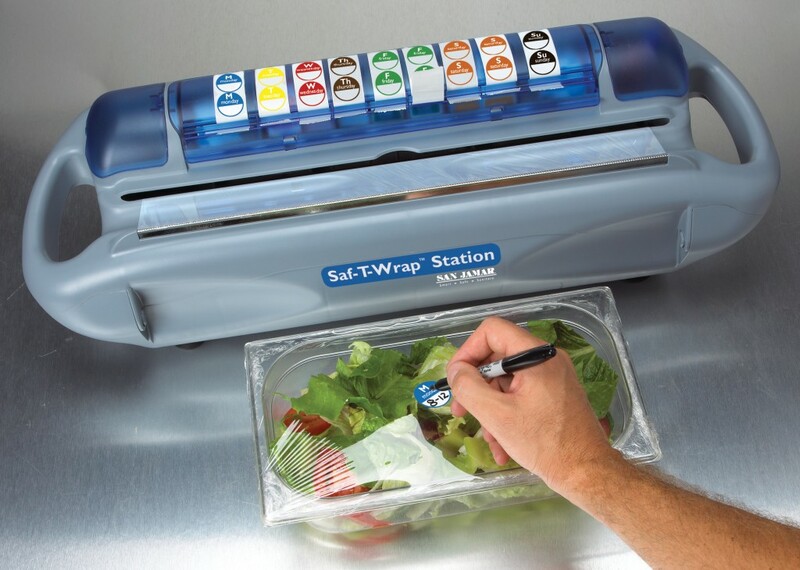 Saf-T-Wrap® Station holds film or foil, dating labels and includes storage areas for box cutters, pens and markers. Safer and more sanitary than dirty film and foil boxes, Saf-T-Wrap® Station’s commercial-grade suction cup feet hold securely to countertops during use, minimizing cut injuries. 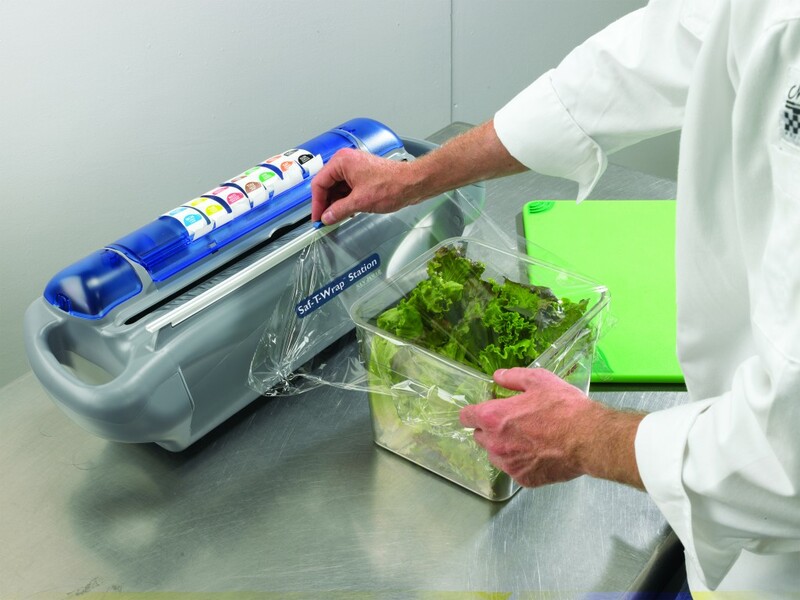 Easily adjusted to accommodate 12-18” (30.48-42.75 cm) rolls, the enclosed container keeps film or foil ready-to-use and protected. Choose from a traditional safety blade for film and foil or a slide cutter version for easy, one-handed film dispensing. The integrated dating label dispenser accepts a variety of label sizes and shapes. Saf-T-Wrap® Station is made of durable, break-resistant plastic. The entire unit is dishwasher-safe and NSF Certified. When not in use, the unit is easily stored to free up counter space. Integrated brackets on the back can be used to hang on wire shelving, or install the included wall-mount storage bracket. - Core diameter : 1.2˝ (3.05 cm) min.